Kano state governor, Umar Ganduje. 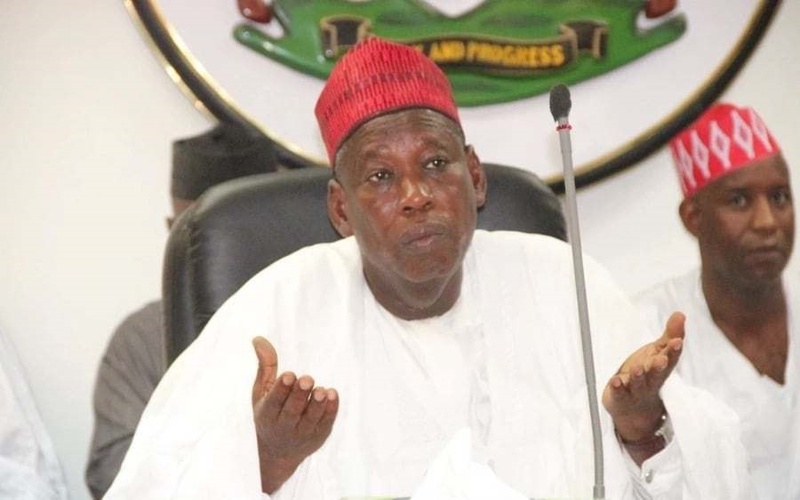 Kano court issues an interim injunction restraining the Kano State House of Assembly from investigating the bribery allegation against Governor Abdullahi Ganduje. Kano governor, Abdullahi Ganduje has been in the news since he was accused by a newspaper of receiving bribes from a foreign company to fast-track and favour them for a construction contract. The state’s House of Assembly had since mooted the idea of probing the governor, but a Federal High Court in Kano has now stopped the plan. The order was sought by one Muhammad Zubair on behalf of Lawyers for Sustainable Democracy of Nigeria. He sought to stop the state House of Assembly from probing Governor Abdullahi Ganduje further on his alleged bribery scandal. The High Court 3, presided over by Justice A.T. Badamasi, ordered the committee investigating the matter to maintain the status quo ante pending the determination of the motion on notice.